It looks like after a few months of separation, rap couple, Cardi B and Offset are officially back together as a couple. 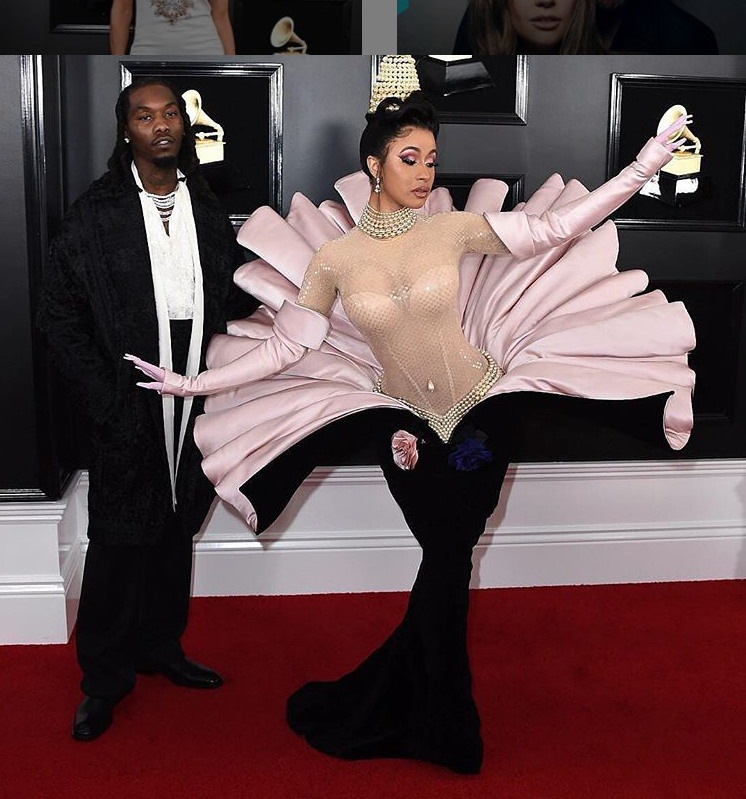 This is coming after the rap stars made a red carpet debut together at the 2019 Grammys since their widely publicised split. Showing up together as each other’s dates wasn’t the best part though as they appeared to publicly reunite for the first time since their split last year. The rappers who were dressed to the nines at the 61st Grammy Awards which took place at Staples Cente shared a kiss on the red capet in what has been considered a public announcement that they are back together. 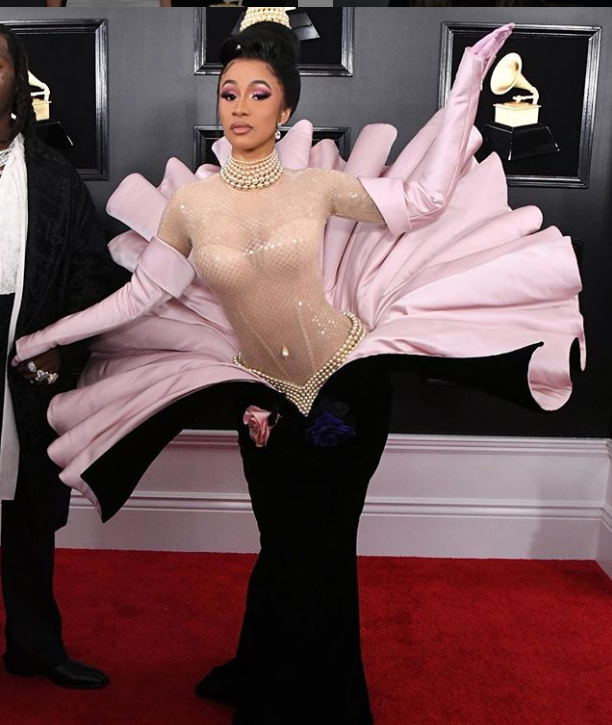 Cardi B who was clearly paying tribute to designer Thierry Mugler’s Fall 1995 collection with her pink dress that looked more like a flower blooming with Cardi in the middle had her tongue locked with that off her baby daddy. This kiss is coming after the couple was seen hanging out together at a club in Atlanta last weekend after apparently patching things up over the holidays, following a rocky 2018. We sure are glad to see that they have been able to work out their difference.